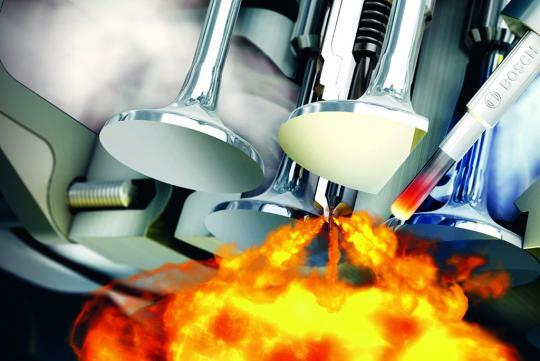 While both petrol and diesel engines are essentially reciprocating-piston, internal combustion machines, the fuels in question aren’t interchangeable because there is a fundamental difference in the way the combustion is initiated. For this reason, the two engine types are designed and constructed differently. Both, however, have powered automobiles, in one form or another, for over a century. During much of those 100-odd years, diesel was always the poorer cousin of petrol – being the preferred propellent for trucks, buses, taxis and locomotives. Diesel fuel was much cheaper than petrol, too, while diesel-fuelled engines were noisy, smoky and slow, earning them a decidedly working-class reputation. Well, the world is no longer the same, and technology has changed for the better. Like a typical petrol engine, a diesel engine follows the 4-stroke principle of reciprocating pistons – intake, compression, ignition, exhaust. As such, the crankshaft, pistons, valves, camshaft and injectors are all present. Conspicuously absent, however, is the spark plug, because in a diesel engine, ignition to initiate combustion occurs when the fuel is injected into highly compressed air. This is why it is also called a compression-ignition (CI) engine. The air-fuel mixture in a petrol (or spark-ignition) engine is maintained at a fixed ratio (roughly 14:1 by mass). It is this mixture that’s ignited by the spark plug near the end of the piston’s compression stroke. In a diesel engine, however, only air is compressed inside the cylinder, but to a pressure four times higher, achieved by the high compression ratio. What results is a chamber containing air pressurised to about 80 bar (80 times the atmospheric pressure around us) and with a temperature of at least 700 deg C, both of which are conditions ideal for diesel fuel to self-ignite without the need for a spark. And this is exactly what happens when the high pressure (which creates that familiar diesel clatter). There is no throttle on the intake manifold, and power delivery is solely a function of fuel quantity injected. The biggest revelation to motorists who only “know” petrol would be the modern turbo-diesel car’s astonishing mid-range acceleration. Terrific torque at low-to- medium engine revs is the secret here, and it makes city driving surprisingly shiok. 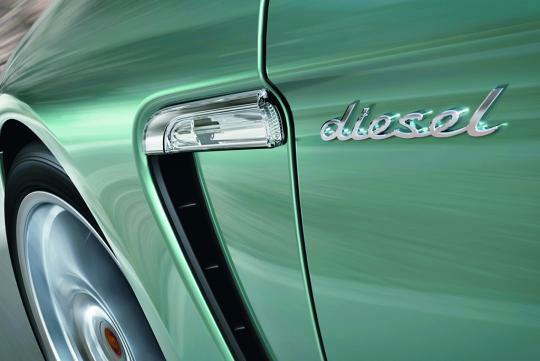 Even the most highly tuned diesel engines rarely rev past 5000rpm, with the vast majority of today’s diesel passenger cars developing their maximum energy at around 4000rpm. But with massive amounts of torque appearing very early in the engine speed range, a good turbo-diesel car doesn’t need to rev high. It’s very efficient, too, by internal combustion standards. High compression, usually more than 15:1, plays a key role in this. With turbocharging, the increased effective compression ratio in a diesel engine leads to even greater expansion of gases in the combustion chamber. In other words, more work is done, and since Newton-metre (Nm) is the measure of said work, the rotating crankshaft ultimately develops more torque thanks to the turbo (or turbos, if the engine is equipped with more than one). While the specific power output is limited by a diesel plant’s relatively low engine speeds, a typical 2-litre turbodiesel’s peak torque output easily matches or betters that of a turbo petrol 2-litre. For instance, Mercedes’ 3-litre turbo-diesel V6 generates 619Nm, which compares favourably to the 618Nm produced by the automaker’s 6.2-litre AMG V8! All that work done by the turbo-diesel means the hardware has to be able to cope. High compression, high pressures, high temperatures and “spontaneous” ignition require a reinforced engine block, stronger valvetrains and a more robust cylinder head. 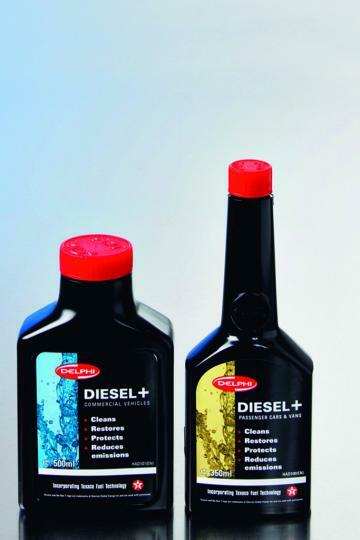 The reliability and durability of diesel is also “helped” by its history of “heavy duty” use in commercial vehicles. Today, the diesel clatter continues to be heard from compression-ignition engines, but “behind” the unsophisticated noise is advanced technology such as turbocharging, ultra-high pressure injection (1700-2000 bar), high-precision fuel metering, catalytic converters, soot filters and computer controlled engine management. These devices and systems have made the modern diesel engine powerful, economical and, believe it or not, even desirable. Another big advantage of diesel VS petrol is that they typically deliver 20% to 30% more fuel economy than similarly performing petrol engines. Not to mention that diesel is cheaper than petrol. Great read! I always like the idea of a diesel car. Should really educate people more about diesel car. Singapore's diesel is euro what arh? I know european country is euro6 right?